No One Ever Teaches You How to Grow Up, You Know? Createspace Independent Publishing Platform, 9781984109149, 302pp. Are you a 20-something eager to find yourself in this crazy thing we call, The Real World? *cue dramatic sound effect* Until now, we've spent our entire lives in school. The great thing about school is that with each new year comes a new syllabus But now what? Are you looking to find more clarity? Do you want to get to know yourself better? Are you eager to find your why? If so, take a BIG ole breath because you've come to the right place. 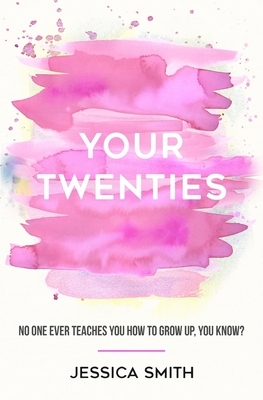 You are not alone in your 20-something journey and this book was written just for you as you speed through life. These, I believe, are the areas in which we experience the most change during this roller coaster of a decade. Each micro chapter will give you the tools, tips, n' tricks to navigate life's ups and downs with ease, grace, and a whole lot of fun. If you're ready to take the plunge, open to page one and let's get started. Jessica Smith is a writer, career coach and podcast host of the podcast(s), Expressness Radio and That Valley Vibe. She shares with people how to explore a path to success with inspired action, empowered self-care and mind body spirit wellness. She helps people uncover and express their authentic self and discover the natural skills and talents they were born with so they can lead with love and live a heart-centered, fulfilled life. One of the main ingredients she writes about is how to tap into your inner wisdom, your -ness, for guidance. Every day she reminds people that we're not here to find out what to do, but rather, who we are.